Auckland Transport is warning e-scooter users to think about safety after hundreds of electric scooters descended on the city earlier in October. 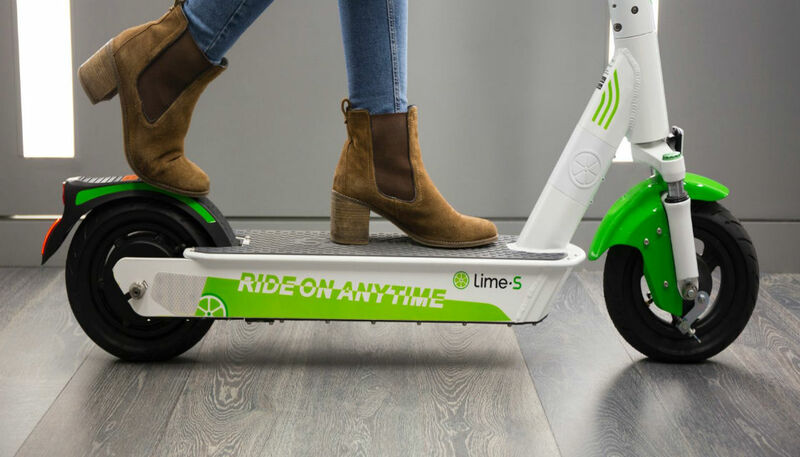 The scooters, provided by California-based company Lime, have been dropped in both Auckland and Christchurch and are available for users to hire at a cost of $1 to unlock and 30c per minute of use. Users can track down and access a scooter with a mobile app, similar to the system for hiring out an Onzo bike, hundreds of which were rolled out last year. Onzo bikes originally came with helmets, but these have slowly disappeared since they were introduced in February. The Lime scooters do not come with helmets, prompting safety concerns. NZME reports one teenager was blown off a scooter by a strong gust of wind and needed medical treatment as he wasn't wearing a helmet. A spokesperson for ACC told Newshub it has received 14 claims for injuries from the Lime scooters since they were introduced. Kirsten Malpas, senior injury prevention specialist, said people need to be careful when riding them. "Wearing a helmet, limiting speed, keeping to road rules are standard mechanism for keeping safe," she said. "The challenge however from a safety perspective with e-scooters is how people use them, mostly for short incidental trips rather than a planned scooter ride they'd have prepared for. "We expect that most injuries will be handled by the A & E / emergency rooms, with sprains and contusions being most common. More serious injury like facial injury - including dental damage - and traumatic brain injury (or concussion) will need support from ACC." A spokesperson for Auckland Transport told Newshub the scooters don't necessarily need helmets, but users should probably have one. She also said people need to be mindful about pedestrians when using the scooters on footpaths. "We encourage anyone using an e-scooter to wear a helmet, and share with care on footpaths, being mindful of people walking and using an appropriate slower speed in busy areas," spokesperson Joanna Glasswell said. Ms Glasswell pointed to the NZTA rules for electric scooters, which set out how users should share the footpath. The guidelines recommend drivers use the device in a "careful and considerate manner" and also say scooters do not have right of way over other footpath users. So pedestrians may be slower, but scooter users do still have to give way to them. The guidelines say e-scooters can be used on the footpath or the road, but not designated cycle lanes. Lime has been approached for comment.